Where you have drive belts, chains or friction drives you will find a need for re-tensioning. 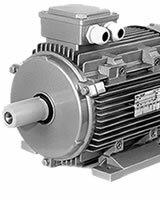 Over time vibrations and friction can lead to slipping or unnecessary wear on your machineries' electric motors or belts. The best way to account for this is to ensure your electric motors can be adjusted to compensate for these problems by using electric motor slide rails or a slide base. Possible applications for these products include pumps, fans, compressors, conveyors, spring loaded or vibration isolating mechanisms and much more.